This is not a stop sign. This is a warning sign. You keep going and use caution. Accomplishing our dreams means overcoming obstacles. Let your realist kick in to complement your optimist. 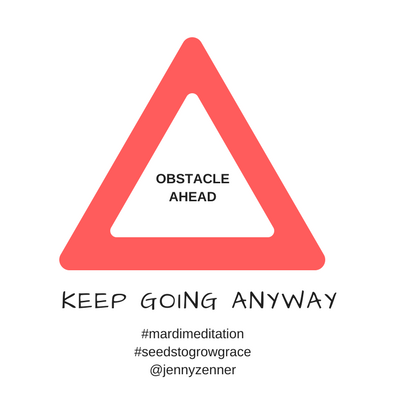 Imagine the obstacles you are facing and start coming up with strategies to get over those obstacles. Stuck? Find someone who has faced those obstacles for guidance. Want more insight? Check out Rethinking Positive Thinking by Gabriele Oettingen.